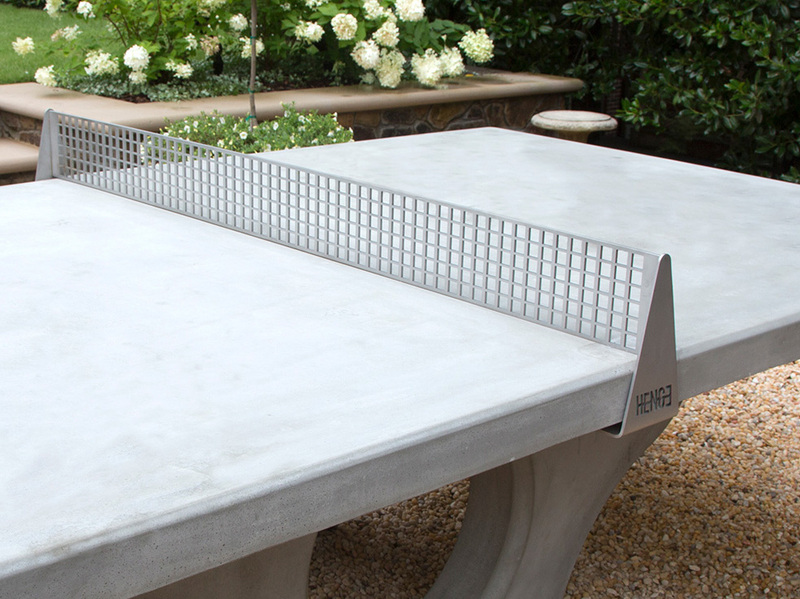 Nets — Table Tennis, In Concrete. 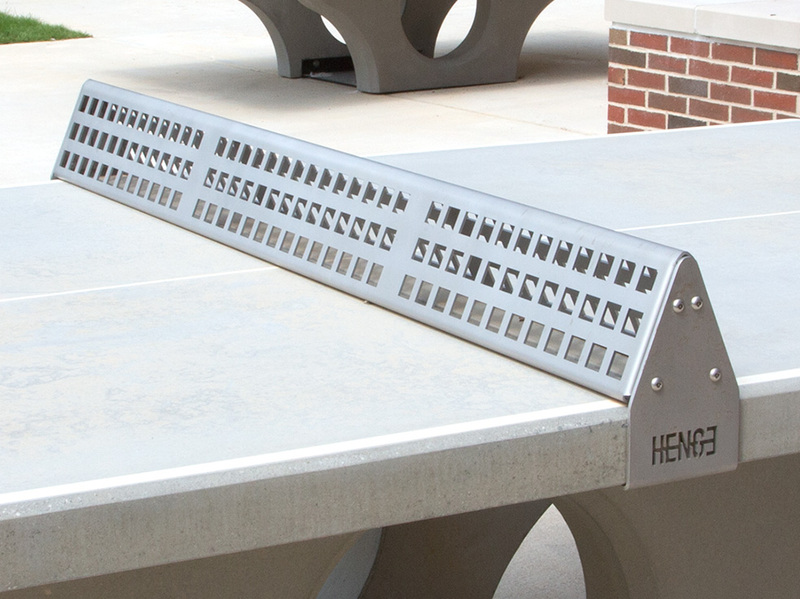 Henge Table. Our popular Prism net has a personality. If your ultra-slam hits the net, it rings with a soft gong sound like a 1970s videogame blooper tone. The shot loops back to you in a gentle arc, a hundred times slower than the slam. The effect is gentle parody. On the other hand, low speed shots into the net roll back quicker to the player— the 60˚ slope returns them like a bowling alley mechanism. (Convenient if you play from a wheelchair.) The round top allows dramatic ricochet angles. Nappers rest their heads on it. Built for skateboarders to grind. A clean and elegant upright grid. More see-through than the Prism—spot your opponents’ hands through the net. Ideal for the residential backyard.